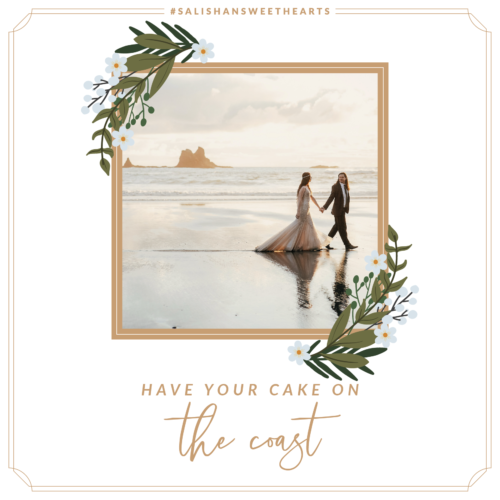 That’s why we got so excited when Salishan Resort asked us to be part of their Wedding Giveaway. “Giveaway”, as in FREE WEDDING. Um, wait… Did someone say free?? Just imagine what you can do with all that extra money! Like the most kickass honeymoon ever!! Or, you know, a down payment on a house, if you’re one of those practical people. So here’s the deal. Salishan is going to provide the venue and reception. We’re gonna provide the cake (of course!). And some other amazing vendors will be taking care of photography and floral. All you have to do is make a little video telling us why you should be the lucky winners and then get yourselves down here sometime in 2019 for the $20,000 wedding of your dreams at no cost to you! You can get all the details on Salishan Resort’s website, and make sure you upload your video by October 20th. We can’t wait to make your cake!